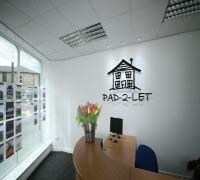 Pad-2-Let is a successful family owned Letting Agent with over 40 years experience in residential Property Management. Our continuing aim is our commitment to provide a professional friendly residential letting and property management service fully focused on the priorities and needs of landlords and tenants. Our office is run by an experienced Lettings Manager with a well motivated team of professional negotiators who work hard to make your move as stress-free as possible. Whether you're letting a property or renting, we make it easy. Pad-2-Let Ltd are a member and approved NAL, SAFE and comply with their regulations. Residential letting and property management. Fees depend upon the type of service required.